The next six months could define the future of Nintendo. The 127 year-old company is attempting to straddle two paths: Making games for smartphones, while continuing to sell dedicated gaming systems. In December, the company will release of Super Mario Run for iOS, marking the first time Nintendo's mascot will appear in a game for smartphones. 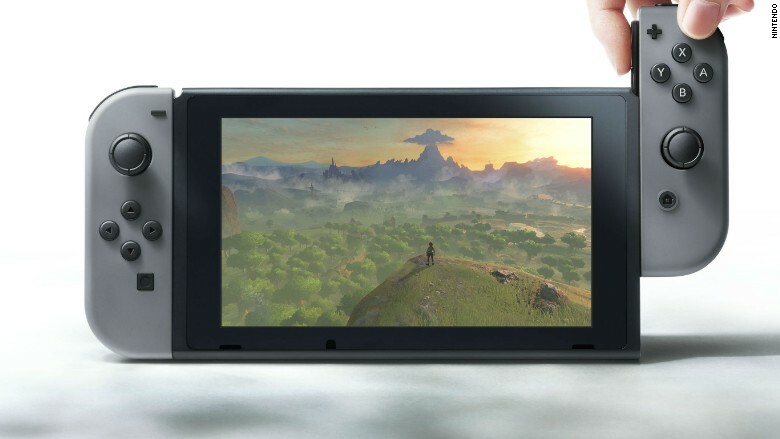 But the introduction of its latest console, Nintendo Switch -- a tablet that slides into a dock to display games on TV -- will be one of the biggest moments for the company in recent years. Consumers cheered the unveiling of Nintendo Switch last week, calling the console innovative and a potential game changer. But investors weren't impressed: shares slid 6.6% in Tokyo the next day. The device, due out in March, is a handheld system that can easily transform into a console for the home. 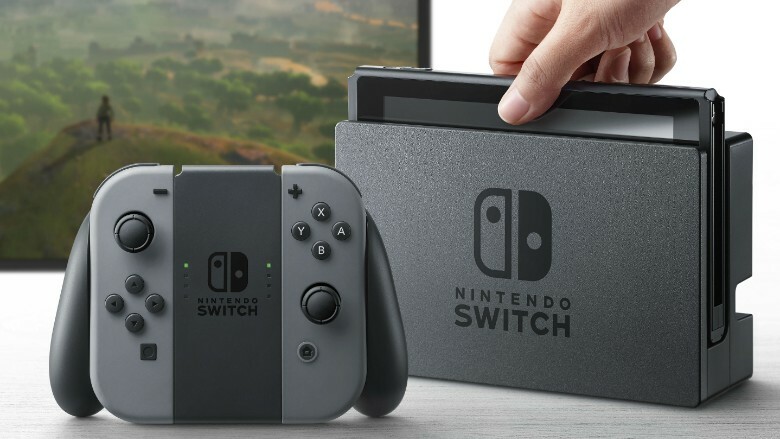 "Switch, while it looks interesting, could imply smartphone games are not as much of a priority now," explains David Gibson, a senior analyst at Macquarie Securities in Tokyo. "The reason why the share price is where it is isn't because of Switch -- it's because of smartphone games." Analysts have long called for Nintendo (NTDOF) to abandon building its own hardware and focus on developing software for smartphones. After holding out for years, the company finally said in 2015 that it will produce smartphone games but it was also working on its next dedicated gaming system. "Nintendo is a very proud, very old, very conservative Japanese company," says Serkan Toto, CEO of Japanese consultancy Kantan Games. "I think it will take a sea change at Nintendo for the company to exit the dedicated video game business." Once dominant, Nintendo's fortunes have fluctuated wildly over the last decade, from the surprising mainstream success of the Wii to the quiet failure of its successor, the Wii U. The Wii U has sold just 13 million units, a fraction of the more than 100 million clocked up by the original Wii. One of the factors behind the Wii U's struggles was Nintendo's inability to release enough games on a regular basis. There were also long gaps between major software releases on Wii U. The company later admitted it had trouble producing software for both its home console and handheld console, the 3DS. Nintendo found it difficult to shift resources or port games between the 3DS and Wii U -- two very different systems. In response, Nintendo combined their portable and home console game development teams in 2013. CEO Satoru Iwata told investors the following year that the company's next systems would share a common platform to make building games easier. In hindsight, it's clear the company was preparing for Nintendo Switch. Producing a steady stream of games for Switch will be vital because no company in the gaming industry leans on their own lineup like Nintendo. Despite traditionally weak third-party support, the fact Nintendo games -- such as Mario, Zelda, Pokémon and Wii Sports -- are so strong is one of the main reasons people buy Nintendo systems. But analysts seem to agree Nintendo can't survive without support: "Third parties are important because it gives you a variety of content," says Gibson. "Having only one developer for a system, even if it's Nintendo ... is not enough," says Toto. "You need to have third party developer support for people who don't like Mario." If Nintendo Switch fails, Toto thinks the company could still have a bright future in smartphone games. "Once the management at Nintendo takes mobile more seriously, I personally believe that Nintendo would mop the floor with everybody else," he says.